See the nightly firework show now playing as part of Epcot's International Festival of the Holidays. 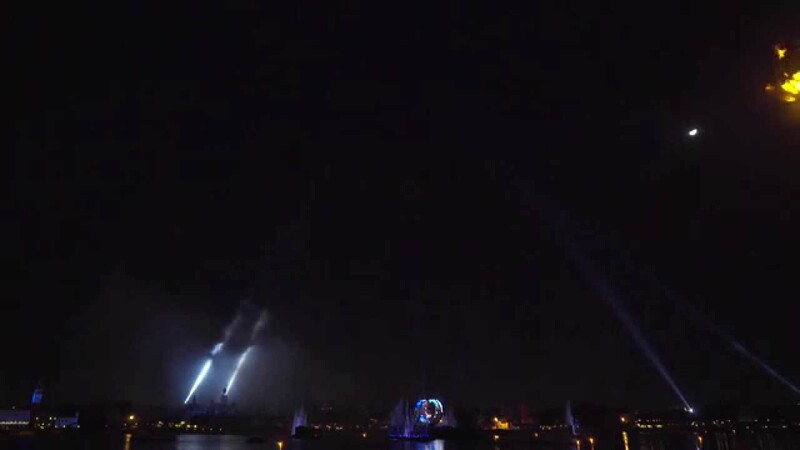 The Peace on Earth finale takes the original Reflections of Earth and add on an extra 5 minutes of fireworks. Great narration from Walter Cronkite and great fireworks. 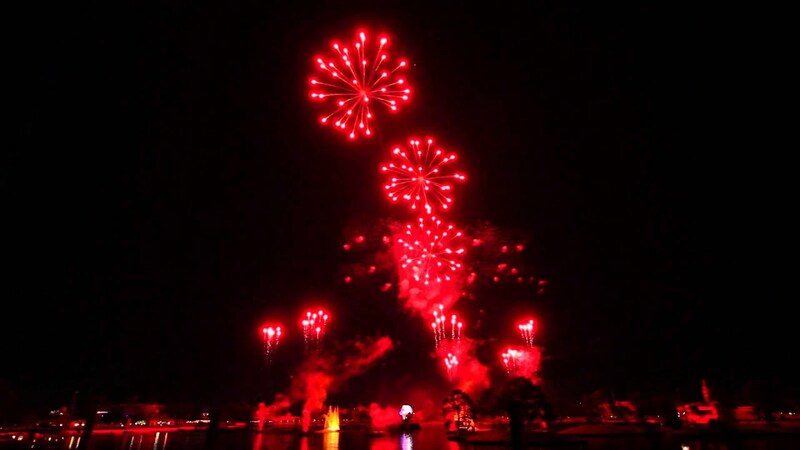 The 2009 show saw a reduction in the quanitity of fireworks form previous years, but still a very welcome addition. I'd give the pre-2009 show 10 out of 10, for the current 2009 show, I'll give 9 (because I know it can be even better as shown in the previous years). 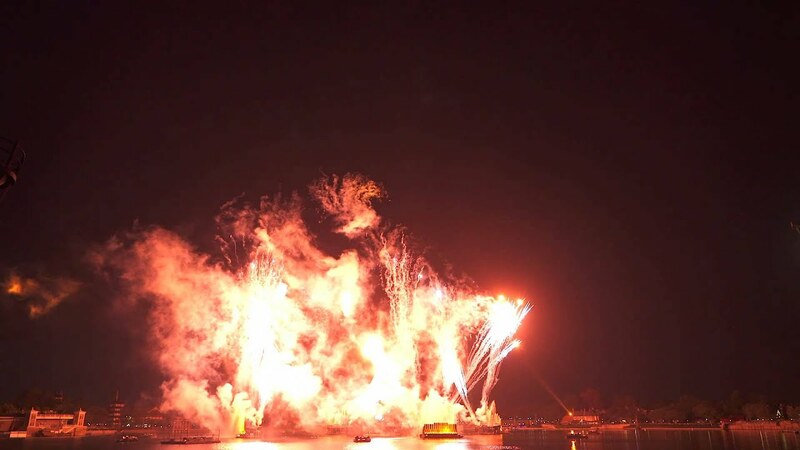 This special edition version of Reflections of Earth runs during the Holiday's Around the World season at Epcot. 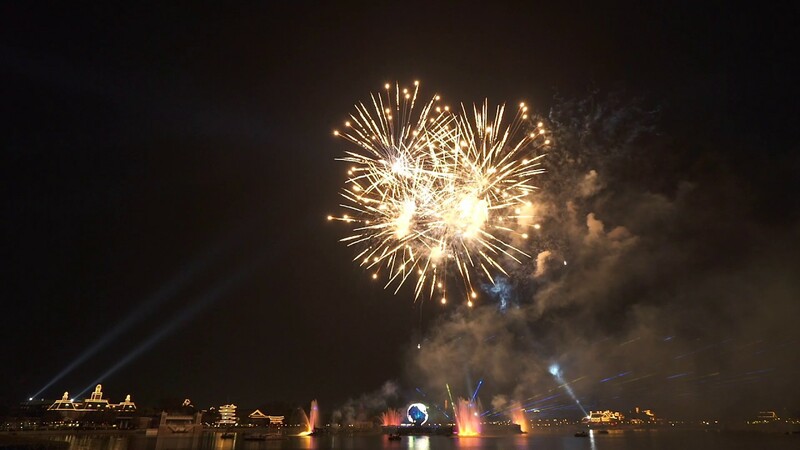 The show takes the regular Reflections of Earth, and adds a 4 minute extended finale to the show to celebrate the Holiday season. The show debuted in November of 2004, and has been repeated each year since. The finale narrator is Walter Cronkite. Full show video is available here.